Find out great information on travel planning, how-to tips from the professionals, great sites, packages, attractions, ongoing events and Los Angeles, Hollywood, and Universal City must see and must do suggestions. Find fragrant bouquets of freshly picked flowers, dewy bundles of organic lettuce, baskets of crisp apples and trays of flaky, artisanal pastries that beckon to shoppers from the stalls at LA’s numerous farmers markets. While you’re in town, make sure to visit one of these open-air gatherings to see what local farmers, bakers and crafters have to offer. If you only have time to visit one farmers market, this one should be it. With more than 100 restaurants, shops and food vendors, this Los Angeles institution has been offering fresh produce, specialty foods and authentic ethnic cuisine to Los Angeles visitors and locals for nearly 80 years. Check out their interactive directory to plan your shopping list. Third and Fairfax, www.farmersmarketla.com, Mon.–Fri. : 9 a.m.–9 p.m.; Sat. : 9 a.m.–8 p.m.; Sun. : 10 a.m.– 7 p.m.
What this quaint market lacks in size, it makes up for in quality. Fill your basket with ripe, juicy tomatoes, generous bundles of sweet basil, flavored olive oils and fragrant, hand-poured soy candles. 209 N. Larchmont Blvd Lot #694, Sun. : 10 a.m.–2 p.m.
Before heading to the Walk of Fame, experience Hollywood like a local by walking through its vibrant farmers market. Whether you’re stocking up on groceries or filling up on pre-prepared foods, this centrally located gathering has everything a hungry shopper could crave. Tip back freshly shucked oysters on the half shell, nibble on grilled sweet corn on the cob, and sip mouthwatering watermelon lemonade while meandering through the aisles of produce and meat stands. Ivar and Selma Ave., between Hollywood and Sunset Blvd., Sundays: 8a.m. – 1p.m. Head to Santa Monica, where three days a week various farmers markets tout entertainment for the whole family, including a petting zoo, pony rides, live music and plenty of hot food stands. Take advantage of the free parking or free bike valet, and get ready for an afternoon of entertainment, picnicking and shopping near the ocean. Watch for special events like cooking demonstrations, “ask the dietician” sessions and appearances by local chefs. City of Santa Monica Farmers Markets, Arizona Ave. & Second St., Wed.: 8:30 a.m.–1:30 p.m.; Arizona Ave. & Third St., Sat. : 8:30 a.m.–1:00 p.m.; 2200 Virginia Ave., Sat. : 8:00 a.m.–1 p.m.; 2640 Main St., Sun. : 9:30 a.m.–1 p.m.
Sure, this weekend gathering has all the hallmarks of other neighborhood farmers markets, but it also boasts an impressive selection of handmade jewelry. While you’re deciding on something sparkly to buy, munch on a treat from the Great Harvest Bread Company, or opt for a pork and cheese-filled pupusa from a mom-and-pop stand. The Friday market in Venice is on the small side, but the vendors here are known for being super friendly. Don’t be surprised if you end up hearing all about the potato grower’s special blend of soil or if you snag a from-memory recipe for grilled zucchini salad. The market comes with a dose of Venice’s famous bohemian vibe — everything is compostable or recyclable, there’s plenty of bicycle parking and it’s not too hard to find a shot of wheatgrass. For a mid-week jaunt through an open-air market, head over to this outdoor event, where shoppers line up for Hawaiian barbecue chicken, made-to-order empanadas and a variety of flavored hummus and pitas. This mellow market might skimp on the crafts and jewelry booths, but it has plenty of fresh produce to make up for it. Stock up on groceries for the weekend, such as flavorful heirloom tomatoes, Japanese cucumbers, massive avocados, free-range poultry and herbed goat cheese. 1125 Logan St., Fri.: 3 p.m.–7 p.m. This mid-size market boasts easy parking, live music, a petting zoo, and plenty of ready-to-eat staples like kettle corn, made-to-order crepes, tamales and burritos. Before leaving, try the ruby-red strawberries at Harry’s Berries and the artisanal pretzels rolls from Rockenwagner Bakery. This Saturday market is a favorite among the toddler set — it offers pony rides, a petting zoo, train ride and bouncy slide in addition to plenty of locally farmed produce. Epicureans won’t be disappointed, either. Vendors sell homemade sauces, pastries and preserves, and one will even sharpen your favorite kitchen knives. During peak summer months, dozens of regional growers converge at this farmers market in the Valley, where you’ll find everything from locally made honey to local eggs, meat and cheese. Oh, and endless piles of colorful, fragrant fruits and vegetables. Because this market features just as much delicious, ready-to-eat street food as it does produce, it’s a favorite among Downtown workers, who fill up for lunch on Thai barbecue chicken, falafal wraps, roasted nuts and authentic tamales and then take home local veggies and artisan bread for dinner. This entry was posted in Events, Hollywood, Los Angeles, Travel, Universal City and tagged Events, Farmers Market, fresh, Hollywood, local event, local events, Local Festivities, Los Angeles, los angeles attraction, los angeles events, outdoors, produce, southern California, Universal City. Bookmark the permalink. “Stuck in LA for the Holidays?” You hear that phrase all of the time because people assume the best way to spend the holidays is back east where it is snowing or somewhere in a log cabin with a working fireplace. The truth is, you can find many things to do in Los Angeles to get that good old holiday spirit while staying warm! If you don’t want to make the drive to Anaheim and pay the admission price to celebrate the Holidays at Disneyland, check out six things to do in the local Los Angeles area that are just as fun and exciting. 2. Outdoor Ice Skating- This is the 13th season for the LA“Downtown on Ice” skating rink at Pershing Square which is the heart of Los Angeles. You can ice skate in this beautiful outside skating rink every day through January 17th, 2011 for the amazingly low admission cost of $6. 3. The Grove- Enjoy the beautiful Holiday lights, enormous lit Christmas tree and Santa’s house at The Grove Shopping Center. Visit and take pictures with Santa (right in front of Barnes and Nobles) and listen to Christmas Caroling at the LA Farmers Market. This will help put you in the mood to do all of your Holiday gift shopping! 4. Los Posada on Olvera Street– From December 16th to December 24th, you can participate in this historic and beloved Mexican Indian fiesta on Olvera Street. This is the perfect event for your entire family or a group of friends as you indulge in multiple cultures while enjoying a variety of holiday displays and entertainment. If you have children, make sure you do not miss the children’s piñata breaking, which begins at 6 p.m every night. 5. Christmas Boat Parades- The cool thing about the holidays in LA is that we have more than just our houses to decorate…we have boats! Enjoy extravagant fireworks and amazing holiday light displays on the evening of December 11th at either the King Harbor Boat Parade in Redondo Beach, the Naples Christmas Boat Parade in Long Beach, or the annual Marina Del Rey Holiday Boat Parade where the theme for the boat parade is Christmas in Paradise. Now, why would you want to spend your holidays anywhere else besides LA when we have it all here? What are some of your favorite LA holiday activities and events? Please share your opinions below and share with us some other great ideas you may have. Cheers! F Ron Smith is a founding partner at Partners Trust Real Estate and lives with his family in Brentwood. He can be reached at Fron.smith@thepartnerstrust.com. This entry was posted in Local Festivities, Los Angeles, Travel, Universal City and tagged attraction, boat parade, Bob Baker Marionette Theater, Childrens theater, Christmas events, Filed under Best Of, holiday event, Holiday events, Holidays, iceskating, L.A., LA, list, Los Angeles, Los Angeles holidays, near hilton universal, near Universal Studios, Olvera Street, Partners Trust, theme park, top, Travel, Universal Studios Hollywood, Universal Studios Theme Park. Bookmark the permalink. 49% of the 70 organizations surveyed are increasing travel expenses in 2010. Of those respondents, 48% reported an increase in the number of domestic trips as the main reason for the rise in costs. Air travel makes up 43% of the travel costs, with 24% dedicated to lodging. Businesses are still keeping cost control a high priority, with 88% controlling costs by encouraging use of preferred vendors, 75% encouraging travel alternatives (web, telephone or video conferencing) and 72% are reducing attendance at conferences and conventions. Business trips have decreased in duration: A two-day trip is the average length reported by 46% of the respondents, while a three-day trip was the average for 40%. 42% of respondents reported that their frequent travelers are on trips between 31 and 75 days each year, which is up from 29% in 2008. The Hilton Los Angeles / Universal City is a leader in offering accommodations and amenities for business travelers. Currently ranked #19 business hotel in Los Angeles on TripAdvisor, the facilities are built to promote productivity within classic comfort. For reservations, contact 818.506.2500 or visit the hotel online at www.hiltonuniversal.com. This entry was posted in Travel and tagged accommodations, business, business hotel, business travel, Hotel, Los Angeles, Travel, U.S., United states, united states travel, us, us travel. Bookmark the permalink. There are times you move through Los Angeles, California and you are greeted by all that makes L.A. and Hollywood the place to be… restaurants, shopping, entertainment, attractions, and more. Then, when you stop for a moment between tourist attractions and gala events, you notice an incredible site of beauty in this wonderful city. Sunset Over 90042, originally uploaded by waltarrrrr. Visiting Universal City and the LA Area? Share your photos with everyone on Flickr. This entry was posted in Los Angeles, Photos, Travel, Universal City and tagged flickr, L.A., L.A. sunset, LA, LA sunset, Los Angeles, los angeles sunset, photo, photography, Travel, travel photo, travel photography. Bookmark the permalink. Fall is upon us and the rush of travelers has slowed slightly from the tourist filled summer season travel. Maybe this is the time for you to look into an Amtrak vacation or roadtrip, especially if you have never done that sort of thing before. The national train network makes it possible to get around from most major cities. Convention and Visitors Bureaus are located in almost every city and can assist road warriors with most questions or concerns along the way. Given how beautiful and interesting our country is, the trip itself can be a big part of the total enjoyment. Of all the many great vacation destinations accessible by train, San Diego is in the top echelon. The train runs right into the middle of town, with easy local public transportation available to take you to your choice of many San Diego hotels, and most of the attractions. San Diego is spread out over a tighter radius than other parts of southern California, notably Orange County and Los Angeles. In fact, a great many of the local points of interest can be enjoyed by walking. Enjoy marine life? Don’t forget to add Sea World, right next to Legoland on your list of attractions. Maybe it’s your idea to spend some time on this vacation at a theme park that offers thrill rides. I’m talking about Knott’s Berry Farm and Six Flags Magic Mountain (aka Magic Mountain to the locals). As a means to compete more effectively with the Disneyland Resort, one Southern California vacation writer notes that these two theme parks have invested a tremendous amount of cash in developing their thrill rides over the years. You won’t find any place with more edgy thrill rides and coasters than Six Flags Magic Mountain. There’s lots more to do there besides roller coasters (for the rest of your group who may not be coaster fanatics), so check out what is availability ahead of time, to get the most from your visit. Also keep in mind that larger Los Angeles hotels in the area should be able to provide you information and tickets through their concierge service. Knott’s Berry Farm also has really focused on thrill rides, although they offer Camp Snoopy, Ghost Town and many other fun attractions and themed areas within the park. My daughter worked on the new Silver Bullet ride and she says that is one of several coasters that will really help you lose your dinner. Of course Disneyland is the first park that comes to mind, with Dumbo, Mickey, Goofy and the others. Who doesn’t love the wonderful job Disney has done in creating a fictional universe of lovable characters? While you are in the area be sure to peruse Downtown Disney and consider visiting the Angels Stadium of Anaheim for a lively baseball game or quick tour. Your next stop would be Universal Studios Hollywood and the many TV and movie stars such as Betty Boop, the Hulk, Batman and Spiderman, joined most recently by Homer Simpson and his wonderful family. The metro red line will drop you directly across the street from the main entrance to Universal City. Only two stops away from the excitement and entertainment of Hollywood and Highland, this would be an ideal location to stop for a rest and visit some of the nearby centralized L.A. area sites. Pick up some useful information and tips about Universal Studios Hollywood theme park and nearby attractions from one of the local host hotels. The guest services at Hilton Los Angeles / Universal City hotel will help you navigate through the many ticket options and offers shuttles to and from the park, even though it is only a short walk away. Better yet, save a little with the online hotel package and have everything ready and waiting for you when you arrive. Whatever your primary vacation objective may be, it is important to be smart about where you stay. You will spend way more time than you expected traveling around Southern California if you goof up the selection of your hotel. So get input from as many places as possible while planning your trip. Online reviews, hotel concierge desks, travel agents, convention and visitors bureaus, and online planning guides are all great places to start. This entry was posted in Hollywood, Los Angeles, Travel, Universal City, Universal Studios and tagged amtrack, Anaheim, California, disneyland, family friendly, Hollywood, hotels near universal studios, knott's berry farm, legoland, Los Angeles, metro, san diego, seaworld, southern California, theme park, Travel, Universal City, universal studios, visit California. Bookmark the permalink. Welcome to CityWalk LA and Universal City. Family vacations are a great way to have a wonderful experience and bond with your family. By doing activities that you love to do – and doing them together – you will have a treasure trove of happy memories that will surely last a lifetime. If you want to have a memorable family vacation, then it is best that you rely on the services of a professional company that will take care of all the planning, booking, and reservations for you. Nowadays, travel agencies offer various tour packages, such as Universal Studios packages, that cater to all kinds of families out there. When it comes to package tours, many different options come into play. These factors are the ones that will help you decide on the right package for you and your family. Here are some useful tips to help you choose the right package tour for the family. A wonderful vacation does not have to be an expensive one. In addition, although you want to have fun for a few days, this does not mean that you have to go overboard on your budget. To address both needs, it is a wise idea to set a budget range within which you can plan your vacation. For example, because you have a budget range, you can simply choose from among the offered Universal Studios packages that fall within the budget you have set. Fortunately for budget-conscious planners, you can actually choose your own combination that will meet your budget. accommodations. The price of a package tour greatly depends on the number of days included in the package, that is, longer vacations have higher prices. For example, if you want to choose the right tour from among the Universal Studios packages being offered, you will also need to decide if you want to avail a 3-day, 4-day, or even a 5-day vacation package. Indeed, the duration of the trip is one of the most important factors that can help you choose the right package tour. Nevertheless, do remember that although longer vacations may seem more attractive, a vacation with fewer days in the package may be just as memorable as long as it has the proper combination of great accommodation and lots of fun activities to do. ney and SeaWorld to allow you and your family to visit more places during your vacation. Other packages also include free access to bars, restaurants, gym and sports facilities, spa treatments, and the like. Finally, before booking a trip, check if the company you are dealing with is a professional and trustworthy one. By checking the website for testimonials and security seals, you can be assured that you are dealing with a legitimate company. This entry was posted in Travel, Universal City and tagged amusement park, Attractions, CityWalk, discount, Disney, family friendly, games, Guestroom, Hollywood, Hotel, Los Angeles, Packages, pet friendly, rides, theme park, tickets, Tours, Travel, Universal City, universal studios, vacation. Bookmark the permalink. 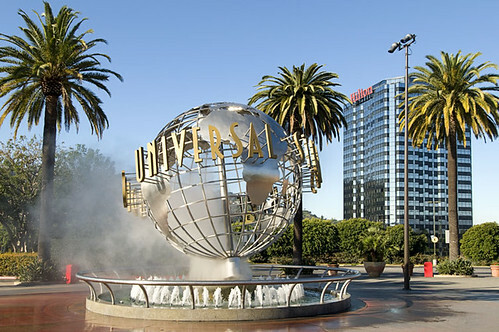 Have you visited Universal City lately? Whether you are a local or a tourist, on business or here for fun, Universal City has something for everyone. Over 30 one-of-a-kind shops and 20 outdoor eateries is just the start of the list. Try cool activities like iFly or Xtreme Ride Cinema to name a few of the highlights at CityWalk Hollywood. Plus carve out time for the entertainment of Universal Studios theme park and their newest attraction King Kong 3D 360. It is getting rave reviews from guests and locals alike. Already experienced King Kong? Tell us your thoughts in the comments below. Why not spoil yourself with a complete weekend outing? Just because you live in SoCal doesn’t mean you cannot join those vacationing here as well! Allow yourself to truly enjoy the experience by removing the need to drive home at the end of the day. A variety of hotel packages and specials are available with Hilton Los Angeles / Universal City, right next to the lively CityWalk Hollywood and Universal Studios theme park. The Hilton Universal City is a AAA Four Diamond hotel with over six acres of landscape in the Hollywood Hills. Comfortably elegant guest rooms feature Suite Dreams beds and spectacular views of Los Angeles glittering lights. Don’t forget to try Cafe Sierra Restaurant’s award winning weekend buffet, a favorite of LA locals many years over. Also take advantage of the fitness center, 24 hour room service, and outdoor pool while visiting. Never underestimate what a little sun while resting under a California palm tree, can do for the mind, body and spirit. Relax a little… you deserve it. This entry was posted in Travel, Universal City and tagged accommodations, amusement park, Attractions, CityWalk, deal, discount, entertainment, family friendly, games, Guestroom, Hollywood, Hotel, Los Angeles, Packages, pet friendly, rides, shopping, theme park, tickets, Travel, Universal City, universal studios, vacation. Bookmark the permalink.